Another "lesson" Burns learned was that conservative calls for limited government are misguided: "We've gotten into this government is bad thing. Government – this government, for example, has been a force for extraordinary good, extraordinary good. The list is almost endless of the things it's done. So we have to get back to 'My version of government is better than your version of government.' Let's get back to good government." 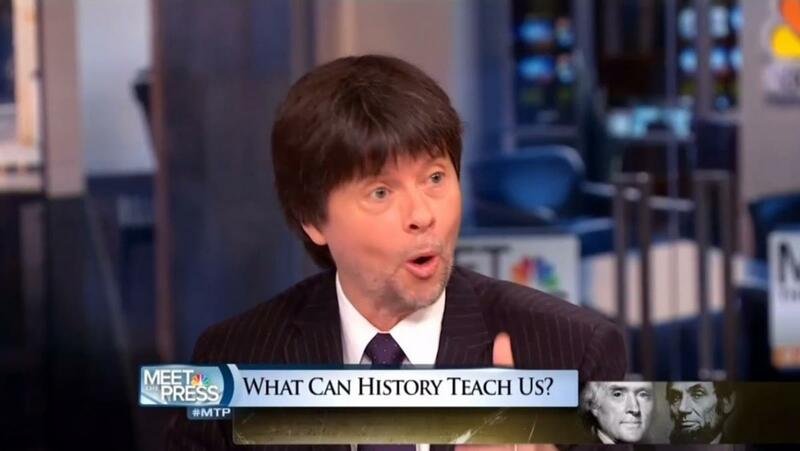 KEN BURNS: There are three things that jump out. First of all, it's compromise. Shelby Foote told me that, you know, when – we like to think of ourselves as uncompromising people, that's the problem today. But our genius is for compromise and when that failed, that was called the Civil War at – at the highest level. Second is that we've gotten into this government is bad thing. Government – this government, for example, has been a force for extraordinary good, extraordinary good. The list is almost endless of the things it's done. So we have to get back to "My version of government is better than your version of government." Let's get back to good government. And the third, and it's present in – in Lincoln, it's less so on our tongues today, but it's about race. Race is always there in America. It's always something we don't want to talk about. It's on the table. Do you think we'd have a secession movement in Texas and the other places, faddish secession movement, if this president wasn't African-American? Do you think the vitriol that came out of some elements of the Tea Party would have been at the same level had this President not been Africa-American? So to me as I look at the – the lessons that emanate out of Lincoln, who still teaches, you know, who still tries to point us towards those better angels, they – they – they come in the essence of compromise, the shrewd use of process, which is government, good government, government working, which is not always pretty. It is sausage making. And also the acknowledgment that we are still dealing with our original sin, that we could proclaim our independence with the idea that all men are created equal, and the guy who wrote those words owned more than a hundred human beings.